I’m not an artist, but I know my way around Photoshop and I love pixel art. so making the art for Major Escape look better is part of the learning process. Now that most of the mechanics are in the game, and the code for stuff like game options is in, it’s time to look at remaking some of the current art in the game. I will probably revisit the art again just before releasing the game but now is a good time to redo some art, add new things like weather effects and make the game prettier in general. A beautiful sunset… at least I think so. As I’ve said before, Major Escape is meant to be a difficult game. That doesn’t mean that it’ll be impossible to play. As you play, and play it more, you’ll get better at it. 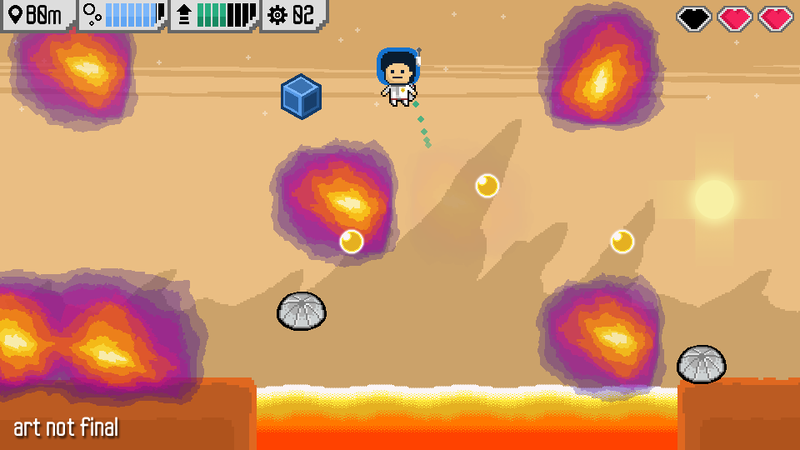 With better skills you’ll be able to reach farther and farther, maybe even escape the planet. For this week’s development blog, I thought maybe I could talk about some of the level design choices I’m making for Major Escape. This game is designed to be short and sweet. I expect that, when balanced, the game will give players about 2 hours of engaging game-play. So, with that in mind, I had to create the level in a way that it could offer an unique and challenging experience every time it was played, without really adding too much content to it. Each time you play a round, the entire corridor is created with random components. Each corridor is divided in rooms. Each room is randomly selected and then stitched together to form a corridor. The contents of the room themselves are somewhat random, but each room is carefully designed to offer challenge and fairness, according to the room’s level of difficulty. This type of semi-randomness is similar to that of games like Spelunky, one game that I admire for its brilliant design. 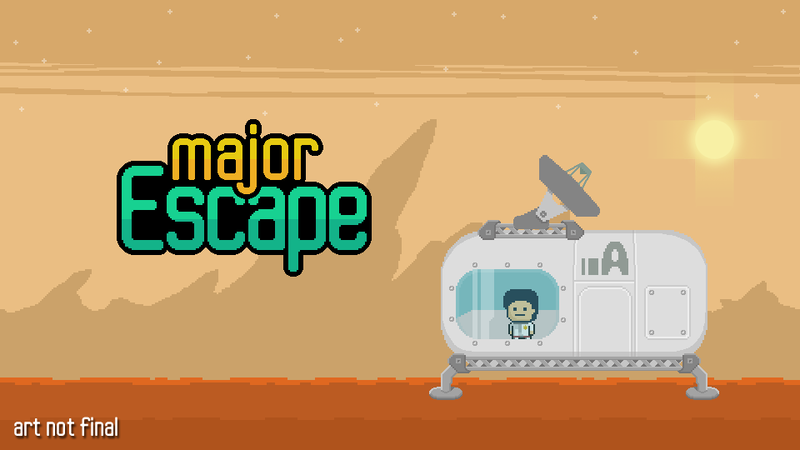 Major Escape is a challenging 2D side-scroller where you need escape the planet you are on, while evading all sorts of obstacles, and collecting items for upgrades. The main focus of the game will be to escape before is too late, but it will not be a simple task. Gravity is low, so you must learn to control you boost pack to properly evade the obstacles. You are against the clock, but if you take your time to collect items, you’ll be able to patch yourself if you are injured or even upgrade your equipment. Just don’t take took long or you risk getting stranded forever. Every time you die, or escape, your attempt will be scored and you will receive points that you can use for upgrades. Sure. These are from the alpha version. Is the game hard or casual? The game is meant to be hard to complete without the proper upgrades. 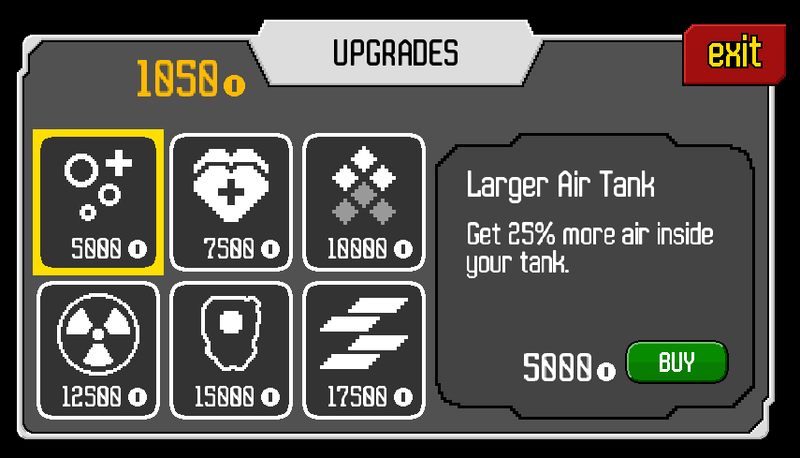 Making it to the end without using any upgrades is something I haven’t been able to do myself… yet. In this first blog entry for Major Escape, I’d like to talk a bit about where this game came from. Exactly a month ago, a little event called the Global Game Jam took place all around the world. For this event, I worked by myself, for 3 days, on a game called Stranded. If you look at both games, you will see many similarities. The original idea was to have a game where you would repair damaged equipment, and gather resources in order to survive and escape a planet after being stranded there. Many of the concepts developed for that game served as the basis for Major Escape.